L. Jagi Lamplighter is the author of the YA fantasy series: The Books of Unexpected Enlightenment, the third book of which was nominated for the YA Dragon Award in 2017 and the fourth book of which won the first YA Ribbit Award. She is also the author of the Prospero’s Daughter series: Prospero Lost, Prospero In Hell, andProspero Regained. She has published numerous articles and short stories. She also has an anthology of her own works:In the Lamplight. To subvert is to bring about change by undermining something from beneath. To supervert is to bring about change by inspiring from above. Joseph Swan, invented the incandescent light bulb at almost the same moment as Edison. When Steven Leberge pioneered sleep-to-waking communication at Stanford Labs, he was chagrined to discover that someone else had also done so (also in England), just around the same time. Another idea that had sprung simultaneously into the world in the last few years is the notion that stories are meant for something more than the grim and cynical tales that have been popular of late. This idea of a light springing from the darkness through fiction came to Sarah A. Hoyt as Human Wave, to those objecting to Grimdark as Noblebright, and to a few sf/fantasy authors who were tired of stories that subverted all the fine and decent things of the world as the Superversive Literary Movement. The Superversive Literary Movement was born in a car in late May of 2013. My husband (author John C. Wright) and I were driving home from the Baltimore Science Fiction Convention, talking about the panels we had been on and how we were tired of a lack of heroism in the stories we watched or read. In particular, we were tired of the idea that anything subversive was hip and valuable in and of itself. I had recently read about the founders of the Steampunk movement, and the idea of starting a literary movement amused me. I announced to my husband that we should start one: a literary movement devoted to heroism, decency, and a light shining in the darkness. In particular, I wanted it to be about the kind of stories where you are reading along, and, suddenly, you are lifted out of the ordinary into a “world more bright,” where you gain a glimpse though the supposedly-eternal clouds of the stars beyond. We had a theme for our new literary movement. All we needed was a name. After a few false starts, John suggested Superversive. What does Superversive mean, you ask? At the time, I knew the word as the Live Journal handle of Mr. Superversive himself, essayist extraordinaire Tom Simon. (If you have not read any of Mr. Simon’s essays on Tolkien and the nature of storytelling, you are in for a treat.) At first, I objected to Superversive Literary Movement as a name, as I found the word hard to say. With time, however, it has grown on me until, now, I cannot imagine using a different word. It took me over a year to launch this new literary movement. In September of 2014, the Superversive Literary Movement Blog was finally announced to the world in the form of a blog. Our first essay was “The Art of Courage” by Mr. Simon himself. Almost immediately, something strange happened. People began contacting me, letting me know how much they wanted to be involved—not just in little ways but in major ones. Sixteen-year-old A. M. Freeman sent me an article for the blog that, to this day, remains one of the best we have ever posted. Other people sent posts as well. But most amazing of all, Jason Rennie, at the time the Australian publisher of Sci Phi Journal, wrote and asked if I minded if he started a blog. A literary movement had been born! Today, Mr. Rennie’s blog, Superversive SF, continues to host the Superversive blog. He has also founded Superversive Press, a small press publisher that is on the lookout for quality fiction with heroic or uplifting themes. People sometimes ask us how Superversive stories differ from noblebright. To a degree, they don’t. 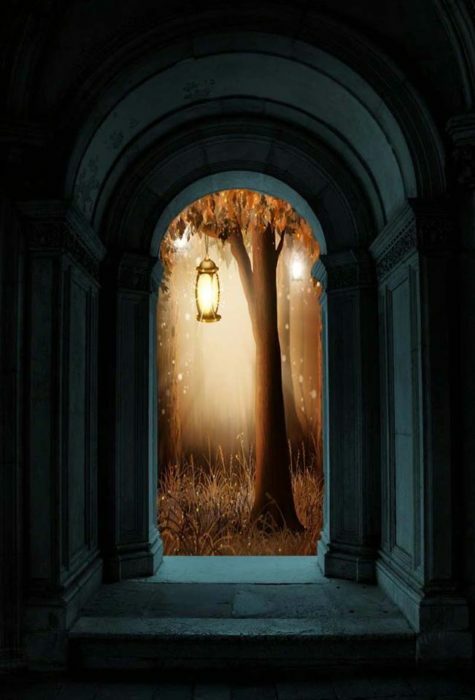 To the degree that they do, it is something like this: if a noblebright story takes place in a “world more bright”, a Superversive story tends to start in the darkness and occasionally glimpse that brighter world through the murk, as a light in the distance. It offers the promise that even if things should grow dark, there is always reason to hope. In some areas, there is not room for two luminaries. Joseph Swan is all but forgotten, while Edison is still a household name. In the world of literature, however, there is plenty of room anyone who wants to join the renaissance celebrating the bright and heroic in the soul of man. May Noblebright and Superversive stories continue side-by-side for generations to come. For anyone interested in learning more about the Superversive Literary Movement, some of the best articles—including some mentioned above—can be found here. L. Jagi Lamplighter is the author of the YA fantasy series: The Books of Unexpected Enlightenment, the third book of which was nominated for the YA Dragon Award in 2017. She is also the author of the Prospero’s Daughter series: Prospero Lost, Prospero In Hell, and Prospero Regained. 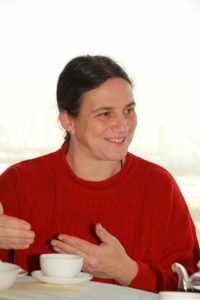 She has published numerous articles and short stories. She also has an anthology of her own works: In the Lamplight. When not writing, she switches to her secret identity as wife and stay-home mom in Centreville, VA, where she lives with her dashing husband, author John C. Wright, and their four darling children, Orville, Ping-Ping Eve, Roland Wilbur, and Justinian Oberon. * Fantastic Schools and Where to Find Them blog. Read the first four chapters of The Unexpected Enlightenment of Rachel Griffin for free. Find The Unexpected Enlightenment of Rachel Griffin on Amazon. I think one of the many reasons why people started turning to grimdark is because many noble heroes and stories in popular media tend to be flat and boring, or else blatantly ignore or refute how difficult and complicated life is. If we want stories with noble heroes or a ray of hope, then we should all do our best to make them deep, complex, entertaining, etc. A hero may be kind and noble, for instance, but that doesn’t mean he’s always going to be able to save the day, be well liked by everyone except for the villain and/or a rival or two, or avoid having a few bad habits or problems in his life. Sometimes even the fact that the hero is good and kind is enough for the hero to have a lot of challenges. Itachi Uchiha from Naruto could probably be a good example. He’s basically a very good, kind, peace loving person that is also a prodigy when it comes to being a ninja, and due to his skill level was thrown in a lot of harrowing situations from a young age. He was a peace loving person burdened with war his whole life, but even with all the despicable situations he’s thrown into, he chooses to live a life of sacrifice to protect his brother and his village.